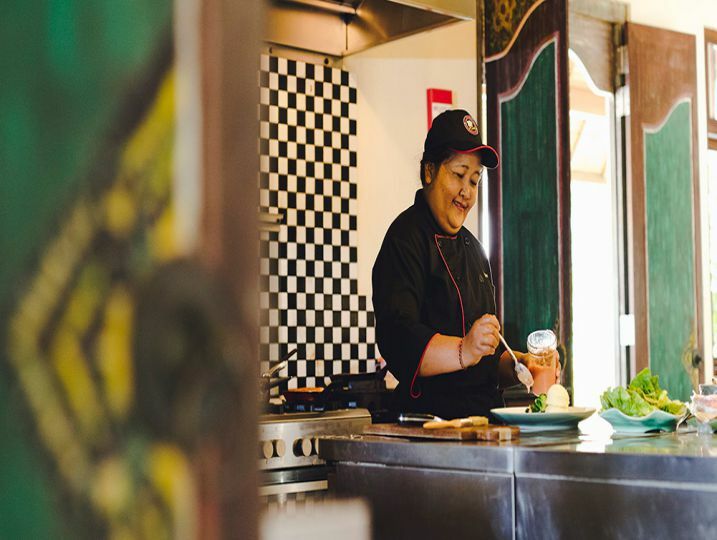 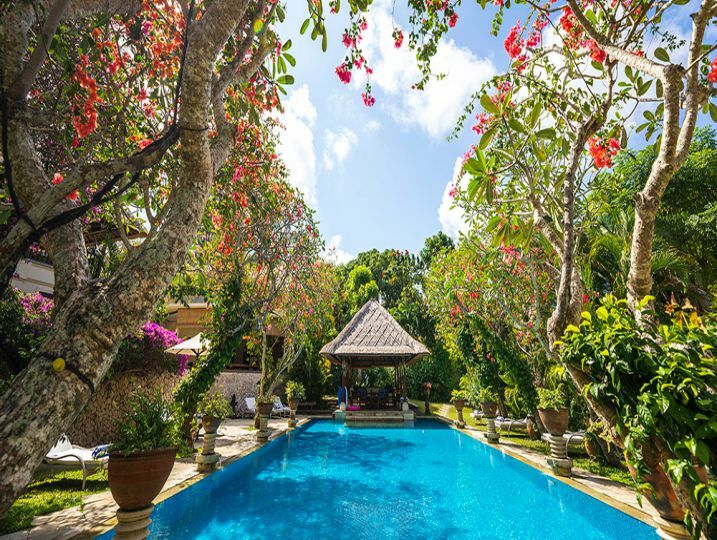 Villa Waru will surely make you reassess everything you think you know about Bali villa holidays. 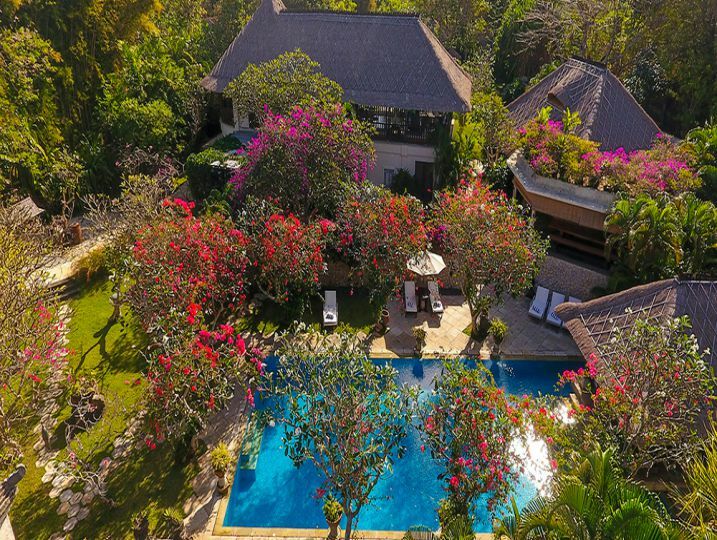 This extraordinary seven-bedroom villa estate rests on a hilltop in an exclusive gated community above Nusa Dua – a private paradise worlds away from the built-up tourist areas yet less than 15 minutes from the airport. 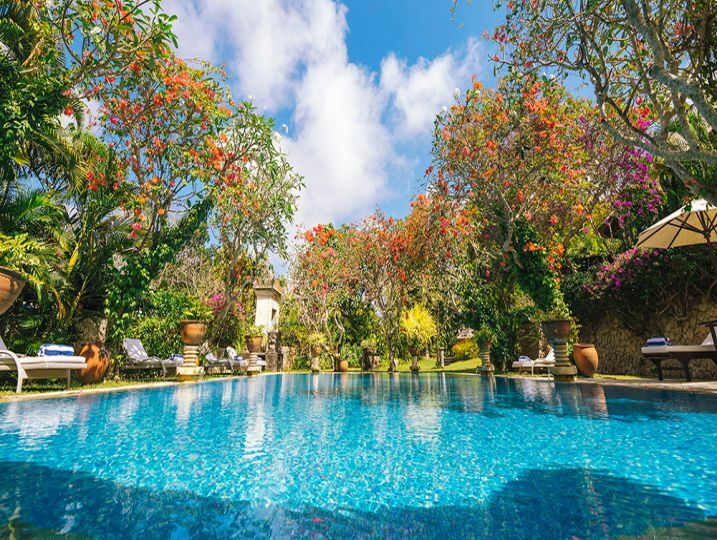 The Made Widjaya-designed setting is stunning – mature gardens splashed with technicolour bougainvillaea and tropical blooms, emerald lawns with meandering paths and whimsical statues, and a huge water-garden of interlinking ponds with banks of lotus, koi fish and fountains. 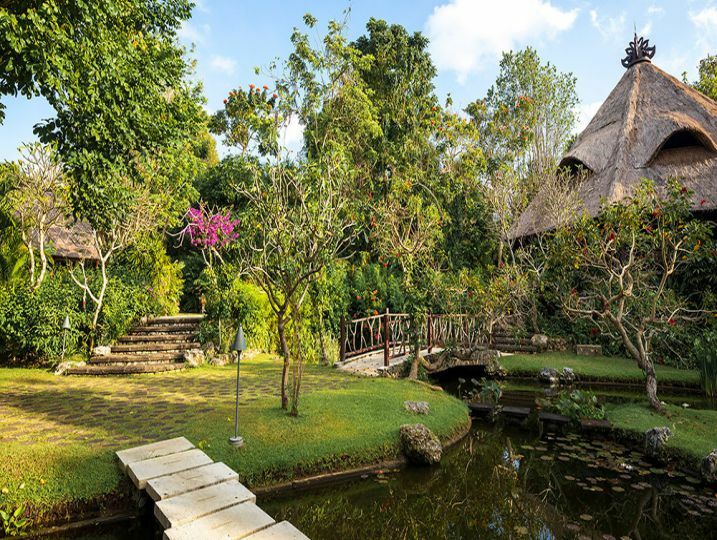 Interspersed within this verdant oasis are multiple alang-alang thatched sleeping and living pavilions – among them two air-conditioned living rooms, an upper level open-sided living room, garden living pavilion, yoga and meditation octagon, cellar bar, poolside and water garden bales and two dining terraces each seating up to 14 guests. 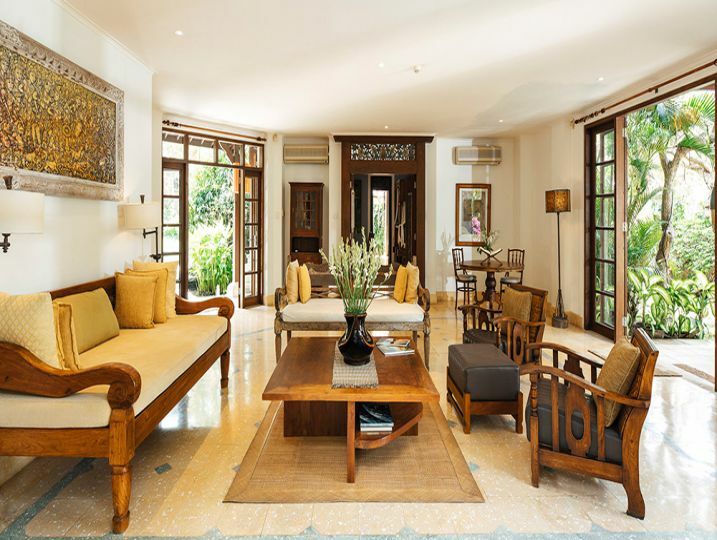 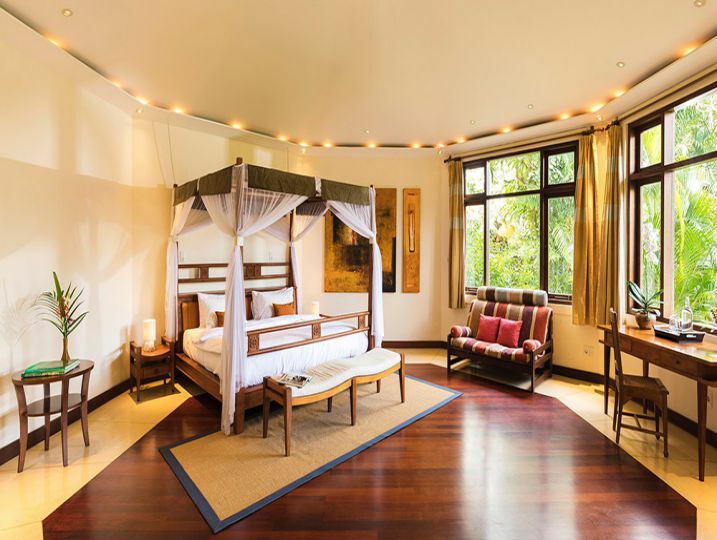 The seven suites are equally generous, adorned with antique furniture and artwork curated by the well-travelled Asian expat owners who show impeccable taste and an appreciation for the island’s bounteous natural materials. 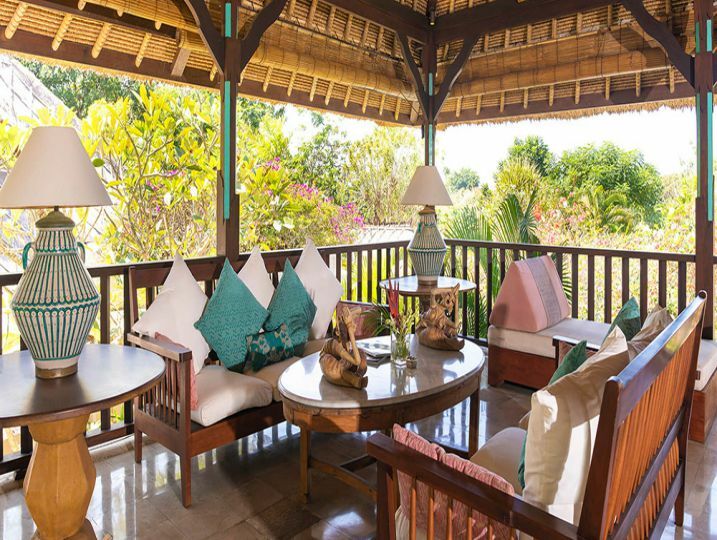 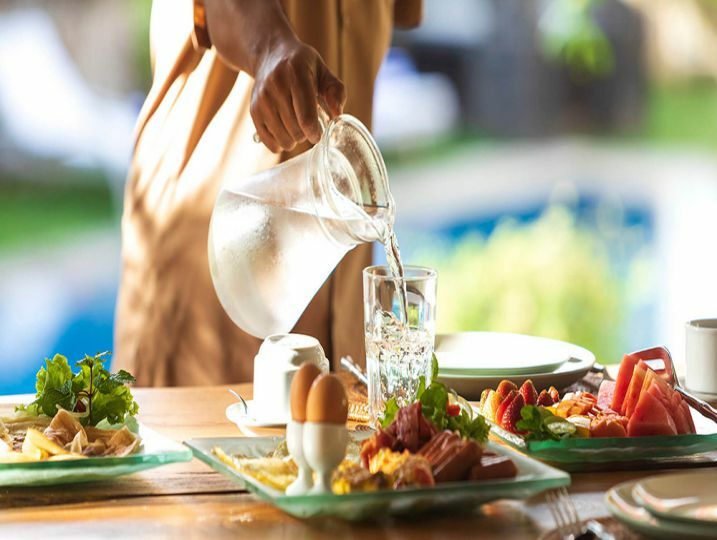 With its multiple-pavilion layout and myriad facilities, the fully staffed Villa Waru is perfect for two or three families who love social space and breathing space in equal measure. 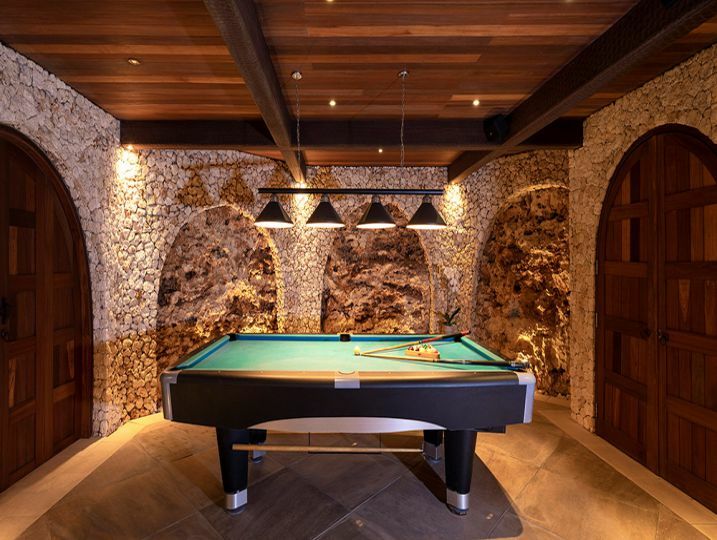 The place is clearly a much-loved family home, and kids of all ages will be well entertained with the large pool, plunge pool, air-conditioned media room, table football, electronic keyboard and pool table. 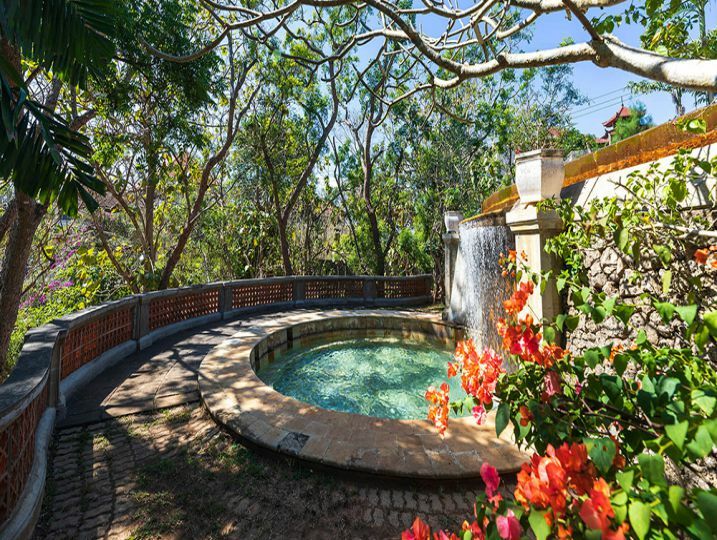 And for that special family reunion or romantic stop-the-clock wedding, this magical estate is matchless. 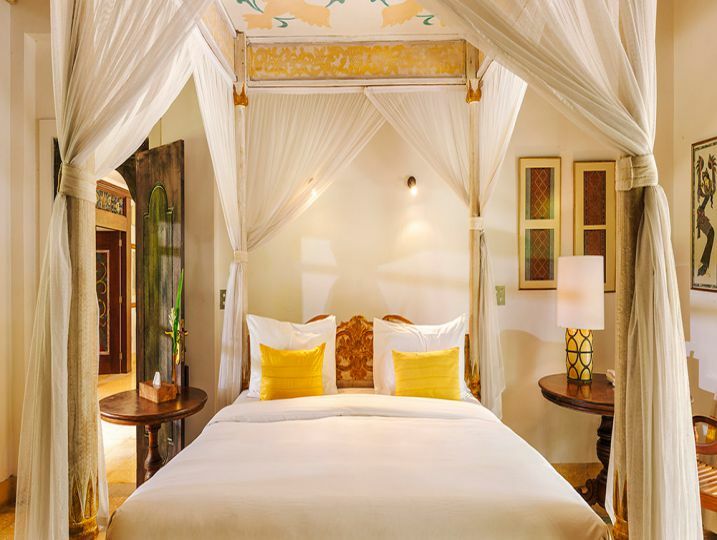 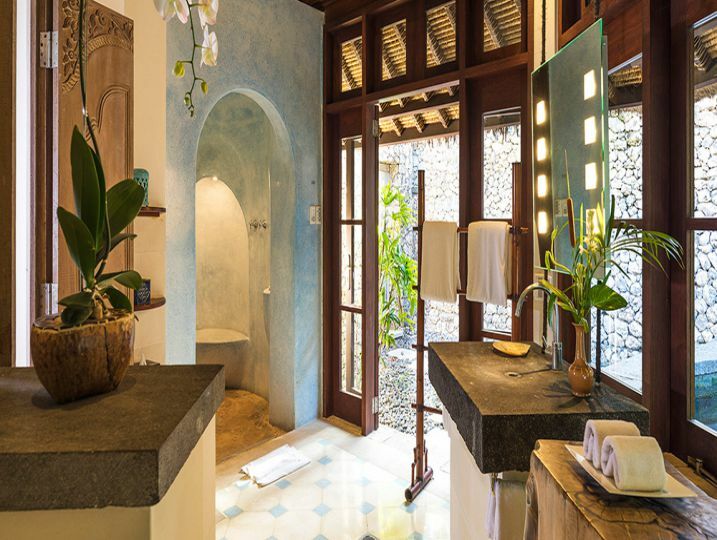 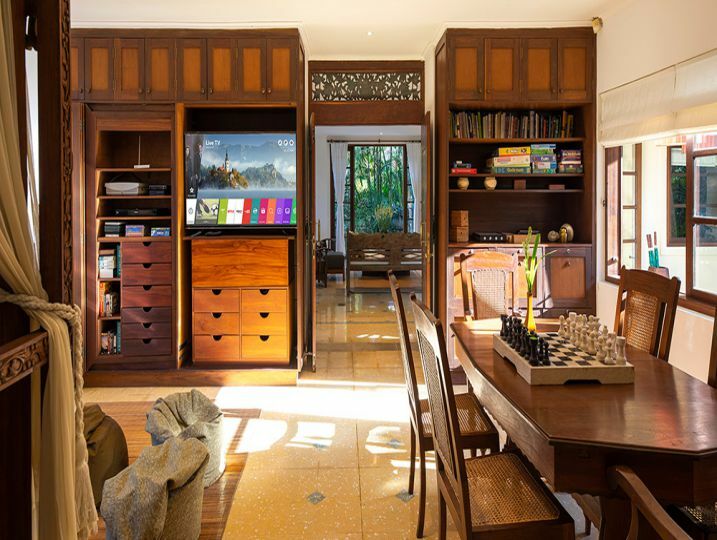 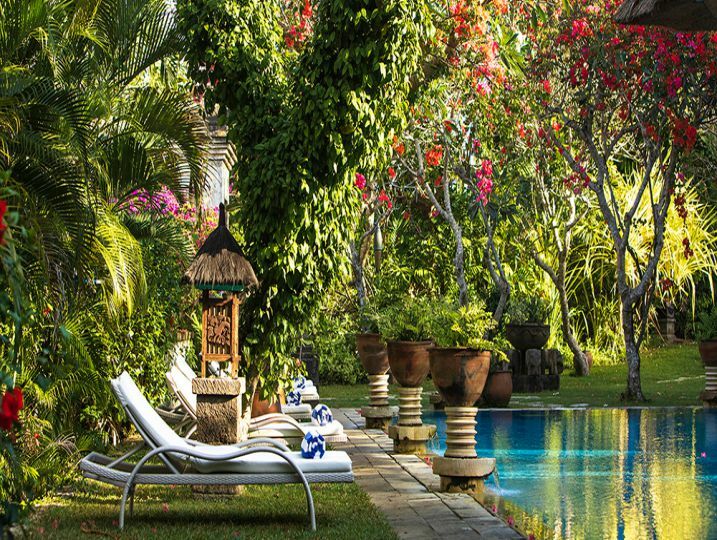 Villa Waru – 7 Bedroom is available for selected dates.